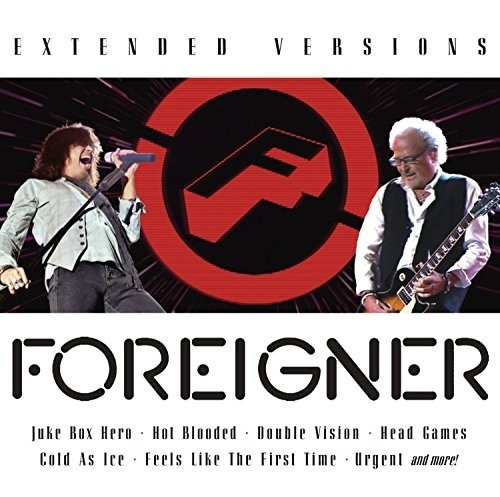 Not to be confused with the 2006 album of the same name, Extended Versions finds veteran rockers Foreigner ripping through a live set from their 2010 tour. With just 12 tracks, the album doesn't really waste much time with deep cuts, opting instead to cut to the quick with a nonstop barrage of the band's classic hits. Making stops at instantly recognizable jammers like "Double Vision," "Cold as Ice," "Hot Blooded," and "Dirty White Boy," just to name a few, this live album brings all the hits that people might expect from a best-of compilation in a streamlined packaged. And while the recordings here might not be as vital as the originals, Extended Versions definitely proves that Foreigner still has some chops after all these years (and lineup changes), and gives longtime fans a way to catch up with an old favorite.